What’s the show? 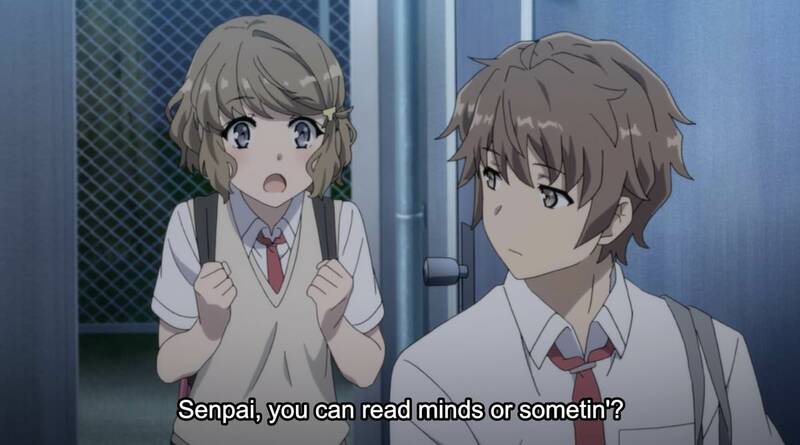 Rascal Does Not Dream Of Bunny Girl Senpai, Episode 4. So how’s this episode? 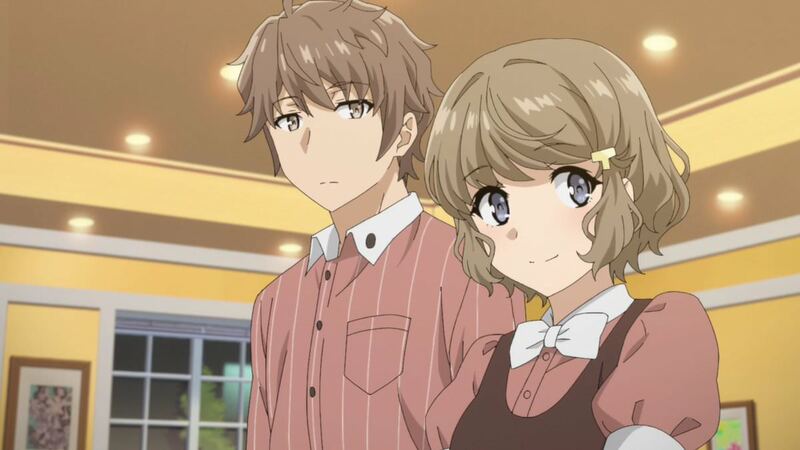 It’s the start of a new ‘arc’—rather we’re done dealing with Mai’s ~disappearing act~ and we’re on to a new girl, though she’s not technically new since we saw her in a previous episode as she tried to fight our protagonist Sakuta for helping out a lost child (she thought he was a “lolicon”). Oh, nothing, it’s just well… this review is kind of ~normal~ so far and your previous reviews have been, well… all over the damn place! Just sayin… It’s because this show has kind of become “normal” by which I mean the unique gift this show was in the previous 3 episodes has dulled into what could be considered a ~good~ episode of a ~good~ show. Like I don’t have any complaints, least I wouldn’t if the show wasn’t so sublime as it had been so by comparison this episode is considerably weaker. She’s still the best girl of pretty much any anime this season. And why’s that exactly? Can you quantify it? It’s become the show I expected it to be when I first read the premise, it’s become… ‘predictable’. And I don’t mean that in any specific narrative sense, I just mean it’s more or less become a television anime set in a school about relationships and varied weirdness and… how do I put it… okay the first 3 episodes were like a flawless feature film and this episode is like the hurried sequel. It’s got the same parts as the first, the same actors, the same setting, etcetera but it’s just not the same. So what’s it about? Well as I predicted in my previous review this episode (and arc) is focused on Sakuta helping out another girl, Tomoe who is suffering from a specific case of ‘Adolescence Syndrome’ but it’s not just her who’s feeling the effects as Sakuta too has fallen into the problem. That being a particular day keeps repeating itself ala the movie ‘Groundhog Day’ until a significant enough of a change can be employed to divert it from its repeating course. And now she gets a job at the same place he does! That’s bound to make Mai annoyed when she inevitably finds out! What? This show is good, this show is great but man I hate talking about it… Like I have faith enough in this show that whatever shortcomings its suffering from right now will come good eventually. This isn’t some dumb harem, this is ~clearly~ written by an intelligent individual so I’m going to stop complaining and just say I look forward to what comes next! Tomoe is pretty ~darn~ cute too, country accent and all. But what about th— I said, I look forward to what comes next, dammit! End of review! Like you I absolutely love this show. It’s still my favorite of the season, but also like you I have to agree that this was definitely a bit less special than the previous three episodes. It’s still great, it’s still better than most other shows, but it DID feel a bit like a step down when compared to what we have seen so far. Yeah, I’m glad they didn’t drag it out with the repeating days things, although I get the feeling ~different~ days will start repeating on and off for the duration of this arc until things are “fixed”. Either way I’m sure whatever this show decides to do it will be enjoyable! Perhaps one reason this arc feels a bit less special is because the trouble Tomoe has is a lot less special than the trouble Mai had. Mai had the problem of her wishes becoming reality, in that she wanted to be left alone, and that manifested in that overreactive “everyone forgot about her” way. It’s something that I think everyone can fear, but won’t ever really have to deal with. Tomoe’s problem is pretty much “teenagers”, which is something everyone’s dealt with, and thus is a really ordinary problem. And one that everyone who sees it thinks is stupid, even if in the moment they’d act the exact same way as Tomoe (because we can all talk big about not caving to peer pressure until we feel some). 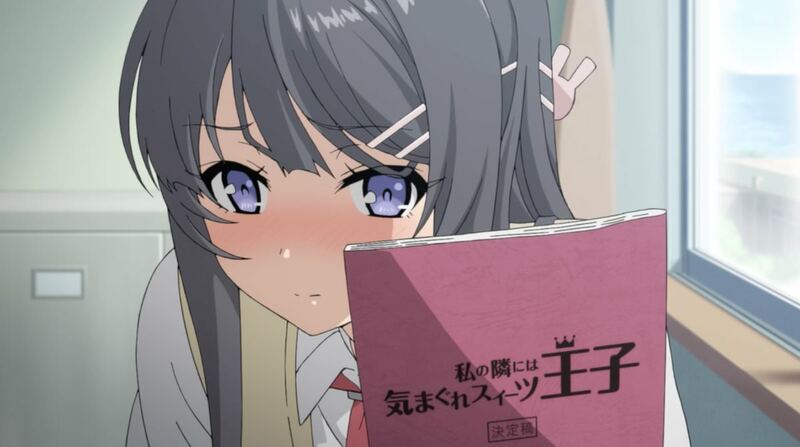 I am really glad that the show seems to keep a lot of focus on Mai, with Sakuta thinking about how she’ll react, AND Mai herself appearing at the end as if to drag the show’s focus back to her. And I really liked that conversation with Futaba they dropped in about her crush on Kunimi. That felt so much in character for Futaba (even the little bit we’ve seen of her), beating herself up over her crush on a guy who she knows is uninterested in her and unreachable. And it also has a good feel that not everyone will be interested in Sakuta. I still liked the episode and it was a good episode, but I agree comparatively to the first three episodes it was a little lacking. Still, I’m also hopeful that as this arc is fleshed out the writers should be able to keep us on track and I’m really hoping this anime continues to be such an enjoyable watch. I liked this episode, but was frustrated by how the relationship with the bunny girl has been reset. 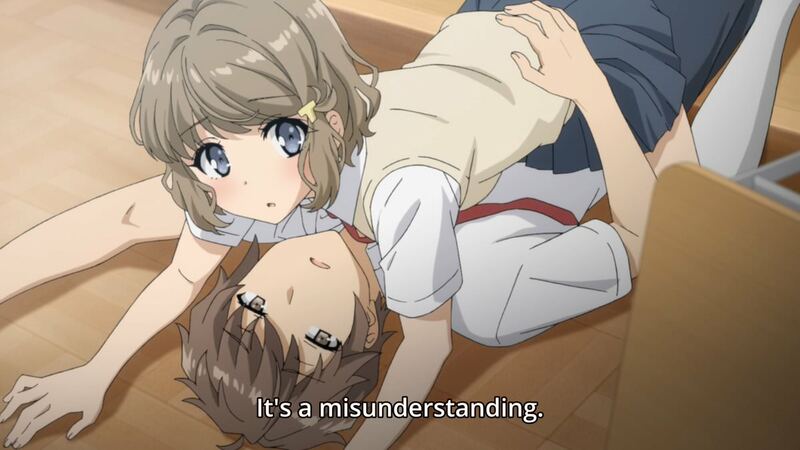 Anime were couples to progress are a bugbear of mine.